Macao Post and Telecommunications Bureau will release the “Supplements for Philatelic Album of Macao 2018” on 8 January 2019, it will be available for sale at the Philatelic Shop of General Post Office and the Communications Museum. The album pages are pre-printed with all the stamps’ images of 2018. 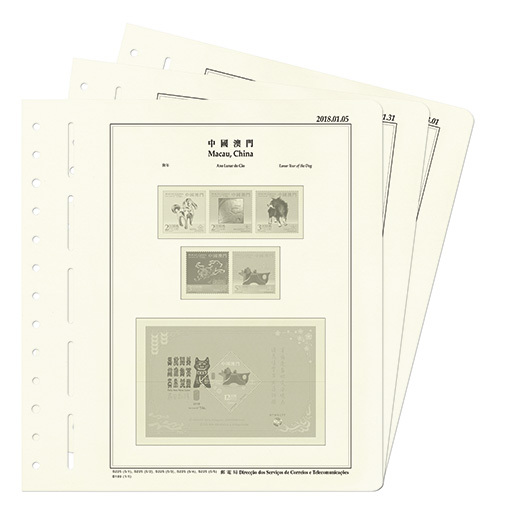 Your collections of stamps and souvenir sheets of 2018 can be put into the pre-printed pages for convenient collection. The selling price of Supplements for Philatelic Album of Macao 2018 is MOP330.00.